There is no mystery about ethnicity. Ethnicity is a product of social history and there is no eternity about it. Evolution of a language, sometimes a religion or religious beliefs, living together in a geographical proximity, development of a close customs and traditions, and political formations, if not states, are the forces that create ethnicities or ethnic communities. There are over 5,000 identifiable ethnic communities in the world, but all are not in conflict. Most of the above attributes or forces have been present in the formation of the Sinhalese, the Tamils or the Muslims in Sri Lanka. The formation of the Sinhalese ethnicity has primarily been within the confines of the island while the Tamil ethnicity in its formation has been overlapping with the developments in the adjacent subcontinent. Even the Sinhala formation cannot deny the influences of the subcontinent. The key factor in the Muslim ethnic formation undoubtedly is the religion, while migrant communities initiating the process. None of these communities can claim complete homogeneity, while the differentiations with the others also being relative and overlapping. They all have evolved interacting with each other in their separate as well as combined developments. It may be true that the Sinhalese formation absorbed or assimilated more from the Tamil formation than the other way round. The reasons perhaps being (1) the predominance of the Tamil culture in the closest areas of the subcontinent, making inroads within the island since historical times, and (2) the Sinhala formation primarily being a ‘hybrid’ nature, based on proto-‘Aryan’ as well as proto-‘Dravidian’ groups in the initial or even latter stages. The ‘Aryan’ influence also cannot be denied in the formation of the vast Tamilian ethnicity/ethnicities in the subcontinent particularly in the case of religion and culture. The ‘Aryan’ and ‘Dravidian’ distinction here is made primarily based on language, however not without other attributes including ‘relatively racial’ characteristics. What have made the two formations categorically apart in modern times are ‘religion and language’ and ‘nationalisms’ based on them and promoted particularly for political purposes. Nationalisms are creations or constructions, and not necessarily natural developments. This is one reason why ‘nationalism’ sometimes more prevalent among the upper classes than the ordinary masses. Otherwise, logically speaking, ‘nationalism’ should be less among the educated (i.e. English educated) and secular sections. But this is not always the case. Here the ‘nationalism’ that we refer to is mostly ‘ethno nationalism’ and not nationalism proper to mean civic or political nationalism. While Sinhala nationalism is mostly based on religion (Buddhism), Tamil nationalism is more in terms of language and culture. While the former claiming the ‘superiority’ of religion, the latter seems to claim a ‘superiority’ of culture. Both have intermittently articulated ‘racial’ overtones, based on heritage, lineage or ‘blood.’ Or otherwise, the two could have been considered arising out of unequal conditions, one out of a ‘majority position’ and the other of a ‘minority condition’ and grievances. This is one reason why the conflict cannot be considered purely on ‘majority-minority’ dimensions. Perhaps, Tamil nationalism has transformed from one based on ‘grievances’ towards an ‘ideology of aspirations’ for political reasons. I am particularly referring to the period after independence. This would make reconciliation difficult even if Sinhala ‘majoritarianism’ becomes moderate which is not actually the case. It is not clear whether the Muslim politics can be considered ‘Muslim nationalism.’ If it is possible, it is similar to religion based Sinhala nationalism in many respects. That may be one reason for the conflicts particularly in recent times, the aggressive role coming from the Sinhala Buddhist side. Muslim community undoubtedly can be considered an ethnic community, the recent developments geared by increasing religious cohesion, exclusivity and international influences. It is an intriguing psychological or sociological puzzle why people try to glorify their own group or ethnicity, and make conflictual claims and counter-claims, real or largely imagined. A major portion of these controversies are about the past, and ancient past. Who were here in the island first? Although not articulated sometimes directly, who is superior and who is inferior? Some of the thinking and thought processes are in fact absurd. We are living in the 21st century. This is an interdependent world. What matters actually are ‘human needs, dignity and rights,’ here and now! Ethnic and religious conflicts, pure ethnic or religious claims, whether from the majority or the minorities, are quite a distraction from the actual human problems and issues such as poverty, social inequality, justice or environmental challenges. Under the circumstances of independence, it is completely destructive for people or ethnic communities, particularly living in close proximity or intermixed, to conduct their politics based on conflictual ‘civilizational’ claims or glorified past. After all, the Sinhalese, the Tamils or the Muslims living in the island belong to a common stage of ‘civilization’ which is part and parcel of South Asia. It is more appropriate today to consider that all human beings belong to one single civilization, while recognizing certain broad variations based on the East or the West, or other differences (i.e. religious), which have not disappeared or harmonized. More appropriate question is whether the people in general have achieved proper civilization yet, in the East or the West, considering the so many conflicts and atrocities that they are day to day involved in. ‘Civilization’ in any language means an advanced stage of human and social development. Ethnicism here does not mean just one’s ethnic affiliation or love for one’s ethnic culture. There is nothing wrong with that whether one is a Sinhalese, a Tamil or a Muslim. Ethnicism here used to mean prejudice and hatred based on ethnic origin (Wiktionary). At an individual level, strong or mesmerized ethnic feelings might be a reflection of personal or social alienation. In many ‘radical’ or ‘mass’ movements, the ‘true believers’ usually come from this category of people. This is what Eric Hoffer said in his “The True Believer: Thoughts on the Nature of Mass Movements” (1951). However, at a collective or a group level, the reasons could be different. The prominent reasons for ethnic conflicts are more political than anything else. They can be better called ‘ethno-political conflicts’ than pure ‘ethnic conflicts.’ In the case of Sri Lanka or elsewhere, the reasons could be mainly located within the political system or political culture, sometimes underpinning on some of the economic circumstances. What can be seen is ethnic differences or grievances being ‘politicized, manipulated and mobilized’ for power struggles creating ‘us’ and ‘them’ mentality among the gullible people. Take the example of Rwanda. Hutus and Tutsis speak the same language, belong to the same culture and share the same territory. Even there is no religious difference. The apparent distinctions are occupational and perceived physical differences without any scientific basis. But the differences or identities became politically mobilized for a mini-holocaust in 1994. In this context, it is important to quote what the Carnegie Commission said in 1997 in the report on “Preventing Deadly Conflicts” with one qualification. Quote is the following. “To label a conflict simply as ethnic war can lead to misguided policy choices by fostering a wrong impression that ethnic, cultural or religious differences inevitably result in violent conflict and that differences therefore must be suppressed.” (p. 29). For example, if the Sinhalese, the Tamils and the Muslims recognize their specific ethnicities as a stage of their evolution, they can have a ‘critical, scientific and human relationship,’ as Marx opined for the Jews and the Christians. In Marx’s metaphor, ‘the task is like a snake shedding its skin at a particular stage and taking a new one.’ ‘Recognize the human as the snake that wore them,’ he said. ‘Then they will no longer find themselves in conflict.’ I am not quoting Marx, but paraphrasing him to suit our situation. Of course Marx was talking about Judaism and Christianity as two stages of the same process or the same snake. What we have here is a couple of snakes of the same species, wearing the same type of skin, the ethnicity! Perhaps Marx was too optimistic at his young age. It might not be that simple to transcend ethnicity. But there is a valuable truth in what he said, at least for those who are ready to recognize the reality or human evolution. Ethnicity is only a stage in human development. What might be necessary to avoid conflict is to transform from ‘ethnicity’ to ‘common humanity’ at least in our understanding and outlook. Dr Fernando is very correct. You call yourself ‘Lankan’ and then preach about transcending identities! Can I, thus, infer that yours is a false consciousness based on country. The X Group tried to do this and they failed miserably. Deepthi Gunaratne calls himself a Sinhala Buddhist now! Come now, is that the only thing you find issue with?! Read ‘Lankan’ as ‘Human’, if it soothes your strange irritation.. So long people are not subjected to proper awarness programs. They will stay in the same state as they are now in. So, I am very pessimistish the masses will at all work on the march leading to humanity. Just having read the comments added to CT, I feel, regardless of the title of the article, many of them seem to react very superficial manner. Suface values seem to be more interesting for them than for exmaple the killing incident of young life such Thajudeen. Comments added to that is much less than for example the article that are written on Vellala caste system. This hints us well how the people in general tick. Unlike in devleoped world, information flow in our countries seem to be not working properly to make them aware about ground realities even rapidly growing masses becoming users of social media. So my thought is .. the march between ethnicity to humanity can be really long for lankens. Most of the above attributes or forces have been present in the formation of the Para-Sinhalese, the Para-Tamils or the Para-Muslims in the Land of Native Veddah Aethho. Thank you Dr. Laksiri Fernando. Let’s call a spade a spade, and a Para, a Para. How do you educate the people to think and reason? Who benefits by these divisions? “Proto-‘Aryan’ as well as proto-‘Dravidian’” ? They are actually Proto African! How dissimilar are their genes, the Para Genes? They come from India. Actually they came from Africa, between 60,000 to 70,000 years ago. The Paras fighting among themselves, after dividing into various “Ethinicities”. Are the (Para)-Sinhala, Sinhala speaking (Para)-Tamils? The DNA seem to support such a possibility. Secularism will certainly help. Give up the Illusion of Ethnicity and Religion. It is the opium of the people. Remove it, it solves the problem. Is Religion the Opium of the Masses as Karl Marx claimed? Religion is the opium” Karl Marx is Quoted under the wrong Context. Religion is the opium that dulls the anguish that humans bring forth to fellow humans. Religion is, indeed, the self-consciousness and self-esteem of man who has either not yet won through to himself, or has already lost himself again. But man is no abstract being squatting outside the world. Man is the world of man—state, society. This state and this society produce religion, which is an inverted consciousness of the world, because they are an inverted world. Religion is the general theory of this world, its encyclopedic compendium, its logic in popular form, its spiritual point d’honneur, its enthusiasm, its moral sanction, its solemn complement, and its universal basis of consolation and justification. It is the fantastic realization of the human essence since the human essence has not acquired any true reality. The struggle against religion is, therefore, indirectly the struggle against that world whose spiritual aroma is religion. Religious suffering is, at one and the same time, the expression of real suffering and a protest against real suffering. ~Religion is the sigh of the oppressed creature, the heart of a heartless world, and the soul of soulless conditions. ~It is the opium of the people. ~The abolition of religion as the illusory happiness of the people is the demand for their real happiness. To call on them to give up their illusions about their condition is to call on them to give up a condition that requires illusions. The criticism of religion is, therefore, in embryo, the criticism of that vale of tears of which religion is the halo. You have provided food for much thought and introspection. Your comments on Karl Marx’s thoughts are very relevant. It is very important for all of us trying to justify our positions by delving into and divining largely unknown pre-history to bear in mind that Lanka was not always an Island separated from the Indian subcontinent. There is evidence we were part of a larger land mass. Thus, it is very likely than many of us are descendants of those who were here when we were part of the Indian mainland and subsequently intermingled with others to become what we are in terms of identity today. The deep sense of belonging that Tamils have for this country, makes me give much credence to this possibility. The same is true for the Sinhalese. We are yet products in the making and will never be static, because of the ebbs and flows of time. Who knows, we may have a land border with India and a bigger landmass, if geological events dictate so, anytime. Tamil poetry describes the story of a very blind woman in a pitch dark room, searching for something. We, are like that woman! We will keep on stumbling, falling and injuring ourselves, if we persist with our usual preoccupation with a largely unknown history. Let us find pragmatic and possible solutions based on the here and now. I am generally reluctant these days to comment on comments, but cannot help appreciating what you and others (i.e. Vibhushana) have said. Yes, we are like the “blind woman in a pitch dark room, searching for something.” Important as you say is to focus more on the here and now and look for pragmatic solutions. I have previously emphasised the proximity/connection with the subcontinent (“Ethnic Conflict and the State in Sri Lanka: A Possible Solution?” in the Journal of South Asian Studies (20), 1997). More to your point, Philip Baldaeus, the 17th Century Dutch traveller, said “In ancient times it was without question was annexed to the Continent” to mean geographically connected. If my hypothesis is correct, even Thomas More picked this up in talking about his Utopian island, but before Baldaeus. There were stories during the Portuguese time that the island was artificially separated. However it is more possible that it happened naturally. Given my concerns about global warming, I fear more for losing landmass than gaining. Climate change and possible bigger natural disasters than the last Tsunami are some other reasons why the Muslims, the Tamils and the Sinhalese should unite than being divided. Thus, it is very likely than many of us are descendants of those who were here when we were part of the Indian mainland and subsequently intermingled with others to become what we are in terms of identity today. Well, the earliest Tamil settlement recorded in Ceylon is 10ce. There are much older Tamil settlements in India. On the other hand the oldest Sinhala settlement recorded is in Ceylon and there is none in India. So naturally, one has to assume Tamil ethnicity is not indigenous and Sinhala is indigenous. It will remain that way until Tamil settlement is found to be older than Indian settlements. It is erroneous to say “the earliest Tamil settlement recorded in Ceylon is 10ce.” To my reckoning, inscriptions around 2nd century BC talk about tribes named ‘meraya, meredi, javaka and dameda’ among others. Dameda could be the early form of Sri Lankan Tamils. During Elara’s period and later there were settlements. I also think around 8th century there were ‘demala gam’ mentioned in the inscriptions. What is absent until 10th century to my knowledge is Tamil inscriptions. The following is completely a wrong assumption. All Sinhalese, Tamils and Muslims living in Sri Lanka are indigenous. Further, it should be noted that the Jaffna peninsula has little or no granite formations to etch inscriptions. What was written was probably on ‘ Ola leaves’ and copper plates. The Saraswathy Mahal which was a Royal Library located in Nallur was burnt down by the Portuguese and it had Ola manuscripts and copper plate records. Further, can the historic presence of Veddhas be disproved by the lack of records of their existence? Buddhism in Lanka is built on early Hinduism/Saivaism and Prof. Dharmadasa called it syncretism. This demonstrates that the people who preceded the advent of Buddhism were Hindus/Saivaites. Whether they were Proto-Sinhalese and/ or proto-Tamils is not known. You are right, the Tamils did not inscribe/engrave inscriptions on stones, instead they recordrd everything on ola/palmaryh leaves and on copper plates. When the Portuguese occupied Jaffna after a fierce battle with the Jaffna king, they not only demolished the Hindu temples and harassed the Hindus, but they also burnt down most of the artifacts that belonged to the Tamil Hindus. The ‘Saraswathy Mahal’ which was the Royal Library located in Nallur was burnt down by the Portuguese. It contained more than 90’000 rare and unique ola/palmaryh leaves manuscripts and copper plate records related to History, Science, Poems and lyrics, Novels, Theology and Astrology. Whatever was found/collected later were kept preserved in the Jaffna Library. Some of them that were translated by Arumuga Navalar, Thamotharam Pillai and Saminathaiyar were also kept in the Jaffna Library and was waiting for a comprehensive translation. All gone in smoke once again, completely destroyed this time by the Sinhalese to deliberately and systematically erase all the evidences of the past Tamil presence in the island. You will find Pakistani settlements in England too. If someone chronicled England today they would describe Bradford for example as a Pakistani settlement. That hardly makes Pakistani “indigenous” to England does it? There is a difference between a presence and a presence as a civilization. Going by your idea even Indonesian Javaka is also “indigenous” – which is quite preposterous. “Demada/Demala” is a synonym for Foreign. It was used to describe the Portuguese as well. Demala was used to describe even Telegu speakers. “Andara Demala”. Look, I would not bother contesting identity claims which I consider quite petty anyway. The reason I do is because given the amount of trouble it has given and continue to do so. Are you ignorant or are you trying to twist the facts in a foolish manner. It was mentioned once in the Rajavali that when the Portuguese who came from Kerala (where they first landed) and landed in Sri Lankan shore, some people went and told the King of Kotte that the Demelas (Tamils) have landed in the South (the Mahavamsa used to call the South Indians as Demelas). It was only a mistaken identity and it happened only once because all the other time (for over 2000 years) it really was the Demelas who landed. The high caste Demelas settled in the North and remained as Tamil Hindus, the low caste Demelas settled in the South and got converted to Sinhala Buddhists. I usually engage with PhDs. You sound like a Diploma or just a level below. That is why I wont waste my time with you. You mean PhDs like Dr. Mervyn Silva? But he seems to be much more intelligent than you. How come an imbecilic buffoon like you engage with PhDs? Do you know what PhD means? Have you ever seen a university even from outside? Just because you learned to read and write a little bit of English by being a slave in a white man’s country, do not think the members of this forum will consider you as an ‘educated’. You have proved beyond doubt that you are a dimwit. It is indeed a travesty that this imbecile Vibhushana writes imponderable concocted materials! It only manifests his/her innate chronic insecurity. This person is a venomous virus poses hinderances to reconciliation. The Tamil heritage must be celebrated and accommodated by the Sinhala in order to fashion a Sri Lankan identity. There should be more of DR LF and Prof. Uyangoda types and less of Vibhushana type for Sri Lanka to achieve peace and harmony. Vibhushana is suffering from the same symptom that most Sinhalese suffer, a majority with a minority complex. He believes that the Sinhalese are trapped between the devil (80 million Tamils to the North) and the deep blue sea (to the South). This kind of Panic Disorder or fear Psychosis was instilled in the minds of the Sinhalese by none other than the Mahavamsa author when he wrote, Dutugemunu felt that he could not stretch himself because of Tamils to the north and the deep sea to the south. As long as they believe in this kind of myth that is not based on reality (delusions), especially unfounded fear or suspicion, we should expect such outbursts from people like Vibhushana. It is a kind of mental illness that many of them suffer. If Sri Lanka was somewhere close to the South Pole instead of Tamil Nadu, by now the Tamils would have obtained federalism. We cannot blame the Sinhalese, it is the geography (not history) that has caused all these problems. Now I can understand the reason why Vibhushana gets agitated like a Monkey whose tail is on fire…LOL! The PhDs will unknowingly engage with him only once until they realise that you are an uneducated imbecile masquerading like an educated. From the archeological/epigraphic evidence it is clear that during the early historic period the tribes that lived in the island of Lanka were known as Demadas, Kabojas/kambojas, Milekas, Muridis, Merayas and Jhavakas (not Yaksha, Naga, Raksha, Deva or even Sinhala) and the ruling clan was Lambakannas and Moriyas. On the other hand, Ven. Mahanama Thero who authored the Mahavamsa seems to be an expert on copy & paste, he has adopted most of the names and stories from the North Indian Sanskrit texts (Epics, Puranas, Jatakas, etc.) and modified them to suit Sri Lanka. Even though the presence of Tamils in the island Sri Lanka in the early historic period is not denied in the Pali chronicles Deepavamsa and Mahavamsa, it is always better to look at the archeological/epigraphic evidence. Dameda is the most mentioned ethnic group in the ancient epigraphy of Sri Lanka. These inscriptions refer to the Dameda Vishaka (Tamil merchant), the Dameda Samana (Tamil householder), and Dameda Navika (Tamil sailor). There are enough of ancient archaeological evidence in Sri Lanka such as Brahmi stone inscriptions, cave writings, etc where the terms ‘Dameda’, ‘Damela’, ‘Damila’, ‘Demel’ are mentioned as a group of people living in the island. During Sena I ((833-853) and Kassapa IV (899-914), there are definite epigraphic reference to Tamil villages and lands, Demel-Kaballa (Tamil allotment), Demelat-valademin (Tamil lands), Demel-gam-bim (Tamil villages & lands), Demal-Kinigam, Demelin-hetihaya, etc. Going back to the Mahavamsa, Elara ruled the Northern kingdom of Anuradapura for 44 years. During the same period, Dutugemunu’s father King Kavantissa ruled the Southern kingdom of Rohana. Both these kingdoms were separated by the river. If you read the Mahavamsa carefully, Dutugemunu’s father King Kavantissa warns Dutugemunu not to invade (Rajarata) the land of the Demelas. He also says, Rohana the region on this side of the river (Southern territory) has enough land. During the war, Dutugemunu had to conquer not just one Tamil king (Elara) but 32 Tamil Chieftains around the Anuradhapura principality alone. Mahavamsa also says, around sixty thousand Tamils died in the war. How can there be so many Tamil Chieftains and Tamil people if there were no Tamil settlements? King Dutugemunu’s military defeat of the Northern Kingdom of Anuradapura lasted only a few years until the Tamil kings Pulahatha and others took over. Even King Valgambha had to fight seven Tamil chieftains in the Anuradhapura region to reassume sovereignty. Even during the recent past, in 17th century AD (colonial period), Rajarata (Anuradapura) was inhabited by Tamils as per the book written by Robert Knox who was the prisoner in Kandy. When he escaped from prison, he had to go through several places and when he came to Anuradapura, he says it was fully occupied by Tamils (NOT Sinhalese). The Sinhala Nampota dated in its present form to the 14th century AD suggests that the whole of the Jaffna Kingdom, including parts of the modern Trincomalee district, was recognized as a Tamil region by the name Demala-pattanama (Tamil city). In this work, a number of villages that are now situated in the Jaffna, Mullaitivu and Trincomalee districts are mentioned as places in Demala-pattanama. Spot on! I agree completely . This great and very significant word “HUMANITY” has been HIJACKED AND PRAYED upon by the VULTURES called POLITICIANS in this country. Until PEOPLE realize this TRUTH, no progress is possible. I thank the writer for bringing this subject for discussion. Agree, not only in this country. Strong or mesmerized ethnic feelings might not be a reflection of personal or social alienation. It might be, that one has seen in childhood and youth, the sufferings and struggles of the Sinhala masses, and the demeaning of them, by the minorities. Indeed, one might not even like the Sinhalese too much, and find them hopelessly conceited and sniffy whilst at the same time being grossly insecure. But in the end, the Truth of their majority heritage and rights should prevail. We can’t just tell everybody to get together and hold hands. No, it should be tailor-made for each side. Hindu side especially has to look into their caste-system structures, and know that their psyche in societal and community matters is quite different from egalitarian Buddhist communities. They might now say,that they want to be a socialist state, but the truth of the matter is that the creation of their long-ending strife was due to ill-distribution of money, resources, and facilities to their own people. Any socialism by them will never work, for old ingrained habits will surface very glaringly, especially if they alliance themselves with Tamil Nadu. It would be for their benefit of their masses to remain within the Lankan structure. Many Tamils desire that really, but patriotism towards the cause holds them back time and time again. Where on earth do you find them??? Even though Buddhism does not have any caste system, caste is used among Sinhala Buddhist monks more than lay people. Different Nikayas are formed according to the caste. For example, the Siam Nikaya (Malwathu and Asgiri) will not ordained as a monk anyone from a lower caste. The Sinhala Buddhist community in Sri Lanka is more interested in worshipping the Buddha statue, Bo-tree, and Buddha’s Dathu (relics/body parts) and feeding Dana (alms/free food) to the Sangha (Buddhist monks) rather than following the Dhamma what the Buddha preached. The Buddhism preached by the Sinhala Buddhist monks is no longer able to provide any vision or guidance or constructive power but are only occupied in maintaining their own petty positions in an already atrophied hierarchy resting on a utterly disillusioned and rapidly crumbling society from which the spirit has long since departed. They have subordinated the interests of the society to national goals and the narrow ambitions of nationalist and racist leaders. Today, Sri Lanka has become a strong hold of Buddhist aggression and terror and such acts are spurred by hardline Sinhala Buddhist monks. The terror attacks against the minorities were motivated by none other than the Sinhala Buddhist monks. The different Nikayas came after the influence of the Hindu Nayakka kingdom. Now it is done as according to geographical location, though there might be some discriminatory practices. In spite of the apparent brashness of the modern day Sinhala Buddhist, many still are very sincere. There are a number of Sinhalese who feel that they have Aryan purity, and give discomfiture to the whole race. However, modern genetic tests give a truer picture. But yes, there should be a better structure for the Buddhist monks. Still I would say that Hinduism is far more contemptible. The Buddhist order in Sri Lanka had declined during the colonial period. However the Sinhala Buddhist Sangha had exchanges with Siam (Thailand), another Theravada Buddhist country. In order to re-establish Buddhism, the Sinhala Buddhist monks established the Siam Nikaya (from Siam). Today many low caste low-country Sinhalese (including Fernandos) live (settled) in Kandy. However if a low caste Fernando living (settled) in Kandy wants to get ordained as a Buddhist monk in the Siam Nayaka in Kandy (Malwathu or Asgiri) he will be rejected or asked to go to the South (low-country) and select Amarapura and Ramañña Nikaya. Even today, the Siam Nayaka (Malwathu and Asgiri) is reserved only for the higher caste. That not very correct. There are a number of Fernandos (of the coastal caste), who have indeed joined with the Siam Nikaya. They change their names to Buddhist ones to reflect the order. Siam Nikaya, however, reserves a greater quota of priests from their areas. Those who are of historical roots in the up-country areas naturally get first preference. It is the same way for the coastal orders. Nowadays, the different orders respect each other’s systems and protocols out of respect for human dignity. Usually, most coastal people are staunch Catholics and proud of their heritage, and will not convert too easily. Siam Nikaya was started with the alliance with the Thai monks in the 1700’s. The advent of the Hindu Nayakka dynasty closed them in somewhat with the caste system. This kind of structure has been dismantled for a long time when greater Buddhistic awareness resurfaced. All religions followed the same pattern. In Europe in the 1500’s it was the high families of pure bloodline like the Borgia family that ruled the Christendom in Rome. Islamists have had their own sectioning too. However, for all religions (other than Hinduism), sectioning always gave way to their religious pure thought. Higher evolutionary awareness always prevailed. It is a far different scenario from the Hindu systems. Many Tamils find it hard to comprehend the refinement of the Sinhala Buddhist system, and tend to get twisted every-time they think of the Buddhist flexibility and unity. Taunts and jeers we only brush off with disdain. It is indeed a sad and sorry situation of the Tamils. This shows your ignorance in the SL Buddhist society. Looks like you have never lived in SL or you are a recent Buddhist convert ignorant of the actual facts. Speak to some Buddhist monks and ask them, they will tell you the facts. Even today, only the Govigama caste is ordained in the Saim Nikaya (Malwathu or Asgiri). Fernandos will be asked to go to the Amarapura or Ramañña Nikaya. Do not argue just for the sake of arguing and making yourself a laughing stock, go and find the facts, you will be surprised. At least give one example of a low caste who was ordained at the Saim Nikaya (Malwathu or Asgiri) if you can. It has nothing to do with geography, it only has everything to do with caste. I have relatives who were ordained into the Saim Nikaya. This was a generation or two before me. Fernandos will hardly remain Fernandos if they convert, but change their names to Sinhala Buddhist ones. But it was rare for it to happen because most live very prosperously in the coastal areas as fishermen, entrepreneurs and other professionals. Sinhalese are quite happy to have the Govigama caste belong to the Siam Nikaya for that is a special order related to farmers and land-owners of the area. Caste in Sri Lanka is about geographical areas. Within whole areas, everyone remains one caste. It is quite unlike Hindu India, where even a small village is divided into castes. Unlike the Hindu Indians, Sinhalese were advanced enough to clean up after themselves, without enslaving others to do their dirty work. You might see it in formidable terms being a Tamil who prefers to remain within your caste, but you hardly know the intricate and refined interactions between the communities of the Sinhalese. See how many lies you had to fabricate in order to justify the Buddhist caste discriminations in Sri Lanka. First you said geography, then you said Hindu Nayakkar kings, later you denied and said your relatives are also ordained, and now you are saying farmers and land-owners of the area. You shamelessly turn into a blatant liar when it comes to justifying your stupid arguments. None of what you are saying is true. Even a bus driver if he belongs to the govigama caste will be ordained in the Siam Nikaya where as a Fernando even if he owns a land in Kandy will not be accepted as a monk in Malwathu or Asgiri. You have proved over and over in this forum that you are a blatant liar. Holding me as a liar cannot change the facts I have mentioned. My maternal grandmother was indeed a Govigama Buddhist from the Udarata who had relatives in the temples. The land-owning caste would hardly need a coastal professional to become a priest in their temples. Those provinces were sorely destroyed during colonization, and they needed to be protected. Kandyans therefore protected their property extremely carefully. What those temples needed were people from those areas to uphold the traditional structure so their people could be well and happy. A Fernando suddenly going to those areas wouldn’t have a clue of how to deal with the traditional farming society of those areas, of which the Buddhist priests were the chief spiritual guardians. However, there were Fernando’s in the past (with the traditional Suriya and other coastal caste names), who did indeed settle in the Kandyan areas, became one with the locals and were ordained priests. Once they became Christians and changed their names to Fernandos, they had no need to become Buddhist priests. It is indeed a very sad situation of many of you Tamils. You start screaming whenever someone speaks of being a different from you. I have experienced this in real life also. The society by which you live by must be a very unhappy one. You Tamils have remained mired in your ancient culture and caste system, and find it difficult to progress and advance. You make it impossible for others. In frustration, you start throwing bombs. Isn’t it time you lightened up a bit. I already gave you this HEALTH WARNING! Whenever Ramona T Fernando forget to take her anti-depressant pills she gets into this forum, if by mistake you engage with her, she will take you round and round the mulberry bush with fairy tales invented from thin air (mostly blatant lies and bogus statistics that she creates) and finally bring you back to square one making you never to engage again (if you are wise enough). You can see for yourself how she is twisting and turning and manipulating her own stories contradicting what she said earlier, there is no consistency in her posts, mainly because she is lying through her teeth. Now she says her relative who was ordained is a govigama. See how she is changing the stories that she concocted in each post. She really makes my day, I simply cannot stop laughing, LOL! A very good comedy piece, please engage only for a comic relief and not for serious talk. Sigh……I am only married to a Kurukulasuriya Fernando. That some of them also lived in the Udarata is knowledge I gained from those families and their historical family documents. I do not know if any of them were ordained. Some of you Tamils suffer too much with unnecessary complexes. I see clearly now what the ethnic strife is about. What a calamity for Sri Lanka. However, if ever these Suriyas and other coastal clans settled in the Udarata, they certainly became one with the local polity and moved in with their caste. The caste issue was certainly brought in by Hindu influence, but adherence to it was never as fixated as with the Hindus. Buddhism gave way to greater flexibility between communities. Sinhalese Buddhist communities are constantly at the assault of certain noxious Tamils who use every method they can to shame and humiliate. This has been happening for a long time, and it is not the first time one sees what these people say. It is sad to see so many Lankans that many are continually on edge with racial issues, because of the spite of these people. People must speak up and not let such bullying and lies overtake them. People who are of mixed blood have every right to honor every ancestor they came from. That is the way of Buddhism, and progression. The Burgher side were embarrassed by the Sinhala side and scorned it. There’s nothing exclusive about Govis. – they constitute half of the Sinhalese. Siam Niaka want to protect their agrarian lifestyles and Buddhist vegetarian diet. Even the temple I attend, they are very careful that we do not put any sea-food and Maldive-fish in the food. The other coastal orders use fish at times. Some Karava groups oppose the Siam Niaka’s clannishness. Guess in modern day, and in line away from Hindu influence, it would be good if they have a quota for coastal castes within their order and vice versa (if they don’t already) – like the parochial schools that include a certain number of students from other religions. There are many concerns about castism amongst the Sinhalese. Unlike the Hindus who accept their castes however, Buddhists openly express their displeasure at any semblance of it. Because of the mountainous inland, castes provinces were cut off from each other – caste is geographical. With easier access into the interior since the British, there in more interaction between castes. However, the Hindu system prevails out of necessity mostly among Kandyan society, mostly to preserve the traditional structure. A very good example of a dirty black pot calling a clean kettle black. First look into a mirror before you post. Do you think people are fools to accept your stupid logic/argument? Before pointing at others, look into your closet which is full of skeletons. Yes, common humanity is always more superior to any morality professed by any religion or ethnicity. 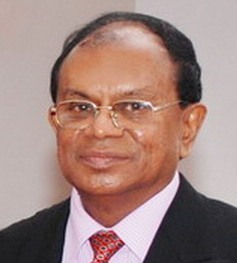 However in the context of Sri Lanka majoritarian Buddhist Sinhala overlordship there is a shadowy unemployed army of monks who’s fine lifestyle of free eating and living well in the temples without ever physically or mentally contributing to the economy, will ensure the continuity of the myth that ethnicity is far more superior to that of common humanity. So in the Sri Lankan context strife created on the lines of ethnicity is bound to continue. This False Consciousness is very hard or nearly impossible issue to fix within us. So short term solution to this ethnic , religious righteousness issues is as Marx said “By making it impossible.”. Long term solution is having proper secular education from our childhood.. Then at least our next generation would have less “False Consciousness”.. I am not sure our ‘conscious’ mind is always logical, good and correct. It is true that no one would tell or rather accept that she/he is a ‘racist.’ The reason to me is the influence of ‘political correctness.’ It is a good thing and a progress. (It can also constitute hypocrisy!). People tend to accept the established ‘good.’ However, they would not hesitate to call the ‘others’ racists. If the ‘conscious mind’ is completely logical or rational, this would not happen. What can be seen is that people struggle to be rational and reasonable. This is good. This is what we should utilize. Human rights discourse is also based on this assumption. It is stated (rather too optimistically!) in the Universal Declaration. But I agree with you that our sub-consciousness is the major ‘culprit.’ However, it cannot act without coming into the surface or working through our consciousness. There is always a tension or contradiction between the two. One way of overcoming this, at a personal level, is through ‘meditation’ or ‘mindfulness.’ Training on ‘mindfulness’ is becoming an educational tool in many developed countries today. Australian schools also adopt this method now, although I don’t know whether they know it’s origin in Buddhism. It is not religious, but scientific. So this is the system in australia and there is no discriminaion of Aborginies, Asians or muslims. Whites, Catholics and christians are not at the for front, and others are second class citizens. All these news about heavy discrmination and killing of Aborginies stories should be all lies. Even the brownies from Asia are treated like kings. Soft, You became a racist because you learned it from Austrians how they ill treating the abo-s? Come on man, You say “Dosa Vada appita eppa’, that is fine; understandable. Now are you saying your “2500 years old Aappa eppa, modern Australian meat pie thamai onai” Aren’t you supposed to teach Australia how to ill treat the refugees? You can see only Australia? Can you see the Singapore which is without Federal states? Can you see swiss, it is with Federal States? How smaller they than the Wildlife Sanctuary Lankawe? If they can find statesmen to keep them happy, how it became impossible in Lankawe, which is much larger than those? It is not in the type of the constitution. It is about that you are not suitable for constitution. You have to be left alone to roam free in the Wildlife Sanctuary and humans have stay within their territory. The solution is North and East, the land livable by human being, has to go separate. You have to produce million JVPs and burn down yourself. India drew its own constitution. Britain did it for Ceylon. It never conducted a referendum in this matter if is ok to Tamils that they put the Tamils with the Wildlife Sanctuary, SinhaLE? Like in Bosnia, the people should be allowed to go free first; if the division is not appropriate, the free people, without much violence, will decide their political future & will regroup themselves. Because Australia is there your sent many loads refugees by the abandoned navy boats made couple of pennies. Be faithful for that, at least. Don’t ask stupid questions about Australia to show off your level of IQ. I guess this is an attempted solution to the Lankawe’s problem. If so that is very immature. In 1915 Tamils and Sinhalese acted together, against the British Governor General in Ceylon. About a hundred years later, the situation is completely different. To some extent, Anagarika Dharmapala and Arumuga Navalar are not substantially different identities. The latter one is almost forgotten, but the earlier one sawed seeds have grown up as thorny trees. This is, now, recognized as Sinhala Buddhism. If Buddhism is the problem, it is unlikely Sinhalese carrying that an amount of Catholic names. Catholics in the middle of Sinhala Buddhist did not suffer like Tamils. Very first thing is, the problem is between Tamils and Sinhalese and known as Sinhala-Tamil Problem. Not Buddhist- Hindu! In other words the theory is that the Sinhala Catholics must fight with Tamil Catholics, with the same manner the Sinhala Buddhist and Tamil Hindu would fight. That is 100% true in reliability. Sinhala Only is not about Buddhism. Why the JVP and communism came? From where Kandyan Sinhala Intellectuals came? Didn’t Solomon West Ridgeway Dias propose Federal Government system to keep the low country Sinhalese away from Colombo, like Tamils. How do one find an ID or classification for Dayan like Hybrid Patriotist? His patriotism stemmed from the stories he heard from his grany about Athula. The so called Atula very cooperating to hand over the country to Whites and Chinese, but keep perceiving that India and tamils are taking it over(even after India gave the Kachativu). The truth is, scientists are correct when they proposed that a spice evolved at same time should display same attributes. But that does not suite for a spiece evolved only 2500 years ago. That spiece is not civilised enough to form a secular democracy and live under that, while that is the level of human race at this time of the human civilization. So that is the most suitable maxim to solve Lankawe’s problem. Divide the country so the chance for quarrel is eliminated. After all British never took a referendum when they were giving freedom to Sinhalese and Tamil under one country. I have often maintained that making armed conflict impossible – or irrelevant – is the main role of Government. Which leaves the question, could we have avoided, as a nation, the conflict and violence that has plagued us since 1956? A statesman and a leader may have been able to pull off this avoidance but no such leader was available then. Now we have MR2. Or should I say M-R.
Karl Marx is correct, but how to make it impossible? Conflict is extreme form of antagonism. Marxist speaks about contradictions in societies- antagonistic and non-antagonistic contradictions and according to classical Marxists antagonistic contradictions could be resolved only through revolutions whereas, there are various ways and means to resolve non- antagonistic contradictions. if you agree that ethnic contradictions are non-antagonistic,there are variety of ways to resolve them. Is ethnic contradictions are non-antagonistic? Ethnic antagonism has become much more divisive than even class antagonism. Capitalism has found ways and means to contain even worker discontents under control whereas ethnic antagonism had led to internal and external war and disruption in countries including Sri Lanka. The competition for scarce economic resources ( like government jobs, university admissions, land and so on in Sri Lanka) has become powerful enough to change conflicts into war. In these circumstances the transformation from ethnicity to common humanity -The long march necessary by peaceful means has become a tall order. I regret for being pessimistic, but is there really a way out? There are justifiable for pessisimism. You are not alone in feeling so. We have started running around the Mulberry bush again! The use of the words federalism, merger and nations have done what they were meant to do. mischief. Sambanthan and Co have spiced this cocktail with their raid on army camp in the Vanni. The other players-Sinhala and Muslim political elements have jumped at this opportunity, they were waiting for and have started adding their mischief to the cocktail. Where and how will it end? Why do we abandon substance for hollow and incindiery words ( in our peculiar circumstances)? Are we a cursed people or are politicians the curse? “Sambanthan and Co have …. raid on army camp in the Vanni”. So the Doctor Spin wants to spew maximum venom? So you say Sampanthan should not have gone to check the Lands based on the complaints made by who elected him. You argue he should have subordinated him to whom would politically convolute it. So your theory is “resolving convoluting is making it impossible by fully surrendering to it”? In other words if Sampanthar attempts to regains the lands Tamils lost to army, it will give an opportunity to the ones use it for their political gain so he should let it go. Further you say Sampanthar raided the army camp. It is not just you are politically convoluting Sampanthar visit to check the lands as per the requests of his people, you appears you are even consciously and willfully polluting the English language by writing like that. (Sampanthar produced his ID at the gate- One thing I should comment here is as that there was no Eraj Ravindra Fernando on the scene to draw guns, as could have wished by Doctor Spin, the Army guards who on duty, after checking the IDs Sampanthar produced, accepted his right to visit to the lands). The time you touching the subjects is very important for your job of doctor spin. 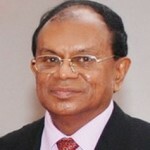 The defense secretary Hettiarachi has said basically(in my words): “there is no war anymore. Anybody should be able to visit to army camps. But just only 7 years have passed after the war. There is time needed to rearrange the matter. Sampanthar need to prearrange his trips to avoid any conflicts on this”. You apparently feels defeated after seeing this in the news. You were hoping Sampanthar be arrested, as the army first demanded and you had your words pre-coined to run big “Thatsanamurthi thavil Chama” identifying you as that Tamils’ great artist on the stage. As that has lost its use, now, you are, in an out of context way, bringing here and throwing it to show your doctorate in spinning and weaving convoluted stories. That is where vocabulary “Sampanthar Raided Army camp” is coming from. But Sampanthar, usually very slippery just to please everybody to prove his “Common Candidate” failed theories, but has replied on this, that he did not see any need to pre arrange these trips. Spot on, Sri Krish, but your language needs improvement. The reason we have leaders is to avoid the herd instinct or should I say mob politics. If you look at the people who are considered great spiritual leaders, most of the preached avoidance of conflict for worldy goods and resources. Moral leadership it is called. No one should try to de-ethnicize any cultural group or demonize legitimate nationalism of any distinct cultural group with a defined territory as its homeland. Will Lankans agree if there is an attempt to create “Indian humans” in Sri Lanka under the Indian constitution or after India forcibly annexes Sri Lanka to it? On what basis will they oppose? The same principles should be applied to recognize the inalienable political rights of Tamils in Tamil homelands. I do not advocate secession but regional autonomy is a must for Tamils to preserve and nurture their cultural identity and also develop and prosper. What Sri Lanka needs is a brand new constitution. I am not particularly against a common Lankan identity (am deadly against Indian identity for Lankans) but it must be recognized that it must be a function of legitimate Sinhala nationalism, legitimate Tamil nationalism and a legitimate place for English for getting connected and for numerous other reasons in the 21st century and in future. All this is possible. All should be humans and united, yes. But there is more to it in civil conflicts than this and that must be properly addressed through the constitution, laws, state structures, systems, institutions and so on. Do the Sri Lankan need a constitution when they so often violate it, do not respect it and do not comply with its schedules and rules? The Hindians believe Sri Lanka is the Sinhala state of Hindia. They have let you to believe that this little island is a separate country, and the little islanders have sovereignty, constitution, …. what not. Its a matter of time before this little island unofficially became another state of Hindia. That is one more reason as to why this country needs a Federal system of governance. It is the standards of living which transforms the different ethnicities in to common Humanity. Our Sinhala Buddhists have to go on a long march for sure, to catch up with the Vellalas and the Wahabis. But with just only Skin and Bones , can our great majority endure such a march. Dravidians and the Muslims are getting even fatter after Yahapalanaya kicked in. With the UNP government plans to privatize every thing from School to Hospitals and Transport, the long march is getting even longer for the great majority. These people don’t know federal from feral. But these Professores blame them for everything which obstructs the UNP plan to give the TNA the Federal Eelaam. Where they dispense everything from fertility, safe air travel, and even revenge on neighbours or others whom the devotees have a grudge against. Karl Marx was a dreamer, as much asthose who would quote Robespierre and Voltaire. Incidentally, both Rob and Volt were guillotined. Modeling theory does not talk of a perfect person in a perfect environment. There are assumptions and mostly crumble in reality. Karl Marx’s ideology suffered similar ordination. George Orwell’s Animal Farm buries Marx’s optimism in a new world order and what more, was obliterated with the fall of the iron curtain. Conscious, sub-conscious, race, religion, power, politics, caste and the multitudes of apologetic expressions are mere excuses. Say, if religion is completely eradicated from the minds of people, will they be still fighting for their created domains? Yes, they will absolutely. Perhaps, a better word would be GREED. Where greed rules, as it seems always and everywhere, there is no place for equity and fairness. The propensity to greed pits man on a warpath. The irony of it all is the argument the religions teach people to be good. It is a sad fact that all religions have failed on this score and it more looks like we are hanging on to that straw memorised as religion because for the most of us it is how we have been indoctrinated. Does it look like there is hope for a better world order where we all will be able to live with the sense of equity and fairness? May be in a make-believe world. Transforming from ethnicity to ‘common humanity’ seems to me a far fetched Utopian concept. Ethnicities are there and will be there so long as languages and religions are there which will lead us to time infinity! Of course there is absolutely no reason why ethnic or religious differences alone should become cause for conflict. The basic causes for conflict lie elsewhere. It is due to disparities in income levels, exploitations, oppression of man by man for personal gains etc. that conflicts arise. If society could wipe out these and also create a sense of equality among people, make people to appreciate diversity and live in harmony, there will be no cause for conflict. Making use of ethnicity or religion to cause conflicts by politicians and others should be constitutionally banned. The more flowers are there, the more beautiful the garden will be. May a thousand flowers bloom for ALL time! Any person yearns for a sense of identity. Generally this sense of identity is based on one’s country, language or culture. It is very rarely that religion gives a sense of identity because it transcends languages , cultures and countries and thus develops only a low level of commonality. In the case of Sri Lanka, it is somewhat different because the Sinhalese believe or are made to believe that they have been endowed with the custody of their religion, Theravada Buddhism in its pristine glory! That little difference makes Buddhism also a symbol of identity for them. Nobody goes about in the world claiming that he is merely a human or a world citizen! So, we cannot simply wish away the ethnic differences! They will never simply evaporate into the thin air. Let us accept ethnic differences as a reality while at the same time developing a mutual respect for the ‘other’ and fully enjoying the benefits of diversity! Well said Respected Dear Mr.Laksiri Fernando Sir. You have educated well, except the modayas like those Tuan and Soni who will not/are not ready to understand about What might be necessary to avoid conflict is to transform from ‘ethnicity’ to ‘common humanity’ at least in our understanding and outlook.